Nathan oversees the strategic and creative direction of Hoodlum with his focus on Australian and international business. Pioneering innovative new ways to tell stories since 1999, Mayfield has been the creative force behind Hoodlum's multiplatform, television series and feature film work. He has worked alongside his co-founder Tracey Robertson to expand the business across the globe and across many different mediums. 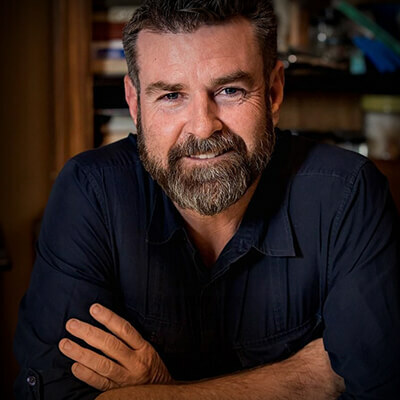 In 2017, Nathan produced the feature film AUSTRALIA DAY for Foxtel, released theatrically through Icon Film Distribution and launched a VR documentary, INSIDE MANUS, for SBS. Hoodlum is currently in production on HARROW, a 10 part series with ABC Australia and ABC Studios International and is in preparation on TIDELANDS, a 10 part series for Netflix, their first original series for the territory.